Sam Dodge recently graduated from the University of Southern California with a Masters of Science in Journalism. 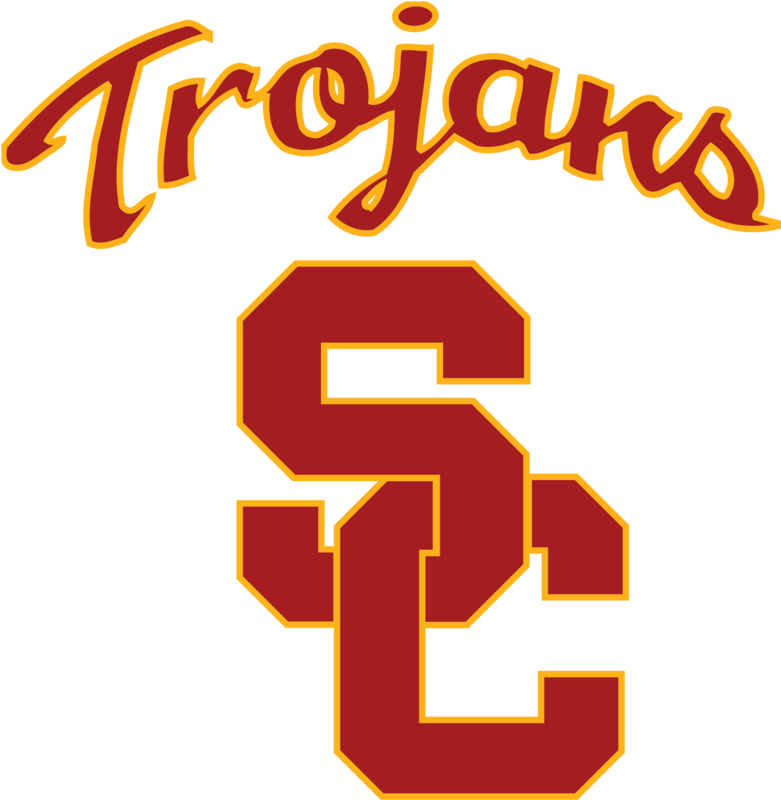 During his time at USC, he reported on a wide array of sports, including the 2018 Winter Olympics, USC Basketball and the 2017 FINA and IAAF World Championships. He wants to continue telling sports stories over a variety of mediums, from print to broadcast to various social media platforms. While his personal obsession is college football, and he can name the last 30 Heisman winners, he loves the NHL, NBA and college basketball, as well. Outside of sports, he sees a movie in the theaters once a week. Fox Sports U showed a willingness to not only pass along decades of experience to students, but also listen to the next generation’s ideas on improving viewer engagement. I now feel that I have an amazing network to help boost my young career. We did our presentation on improving VR in NHL broadcasts. It was exciting to have a back and forth with executives that may implement these ideas for real. I’ll be able to not only watch these ideas come to life, but hopefully keep developing them. Anthony Ciardelli is a recent graduate from the USC Annenberg School for Communications and Journalism where he earned his Masters of Science in Journalism. He is pursuing a career in sports media and is interested in a number of different fields including writing, production and on-camera. Anthony is a rabid hockey fan and also enjoys playing hockey and beach volleyball as well as surfing. Anthony enjoyed the chance that Fox Sports U gave him to be an ambassador for Hockey and try to bring more viewers to Fox Sports’ regional hockey coverage. I’ve always thought about the challenges of trying to make hockey more popular in America and it was very valuable to bounce my ideas off of professionals in the industry. Fox Sports U gave me that chance. Public speaking is vital in both business and in journalism. Having the chance to present my ideas in front the Fox Sports U team as well as my classmates helped me sharpen skills that I will use in my career. The Fox Sports U team provided a valuable experience not only in the classroom but at the studio itself. Being able to visit the Fox Sports Studio and look behind the scenes gave me a much greater understanding of sports media production. Johnny Flores, Jr. is a rising senior at USC where he is majoring in Journalism with a minor in Sports Media Studies at the Annenberg School for Communication and Journalism. During this time, Johnny has interned at a variety of places including his hometown newspaper the Desert Sun and USA TODAY Sports. Just recently, Johnny completed a two-week fellowship at the New York Times Student Journalism Institute where he served as copy editor. Upon graduation, Johnny wants to pursue a career in sports media where he would like to write about baseball. Outside of school, he enjoys watching sports, particularly baseball where he can be found learning about all sorts of odd statistics. Our group aimed to increase hockey viewership for Fox Sports West properties by combining aspects of the popular NHL video game franchise. Fox Sports U gave me the confidence to present to a board of executives and I know now that I can do the same just about anywhere. Working with Fox Sports U over the course of the semester was extremely challenging, but also very rewarding. The team challenged us in many ways and encouraged us to explore the intersection of sports media and emerging technology. Rohan Hardas is a rising junior at USC who is double majoring in business administration and accounting, while minoring in sports media industry. Rohan is currently interning at Global Sports and Entertainment, a sports booking company located in El Segundo, CA. Upon graduation, Rohan wants to work in the business world of sports, working either as an agent or a financial planner for athletes. Outside of school, Rohan is an avid fan of college football as well as the NBA, and spends a lot of his free time watching the Trojans and the Lakers play as well as watching teams around the country. The Fox Sports U project was a great experience that taught me how to work well in teams and put together a presentation to present to executives. Before this project I had a basic view of hockey, but after going through the research I discovered a new appreciation for the sport that I would not have found without Fox Sports U. Our ideas were to bring NHL video games aspects of hockey to life, to talk to executives and see that it is possible gives me a sense of excitement for the future of the sport. USC Annenberg students were challenged by FOX Sports University and FOX Sports West to develop a strategy for FOX Sports technology to be utilized and elevated to attract more viewers to NHL broadcasts. Jeff Fellenzer has more than three decades of experience in sports media, sports management and education, and as an entrepreneur. He is a senior lecturer and full-time professor at the University of Southern California’s Annenberg School for Communication and Journalism. His “Sports, Business, Media” class, which he has taught since 1999, averages between 150 and 175 students each semester. His newest class, “Sports and Media Technology,” focusing on the tech sector’s impact on sports, launched in fall 2014 in Wallis Annenberg Hall, USC’s new state-of-the-art communications and media center. Among the prominent sports figures Fellenzer has interviewed in his classes are: John Wooden, Jerry West, Bill Walton, Pete Carroll, Byron Scott, Al Michaels, Scott Boras, Keyshawn Johnson, Larry Scott, Ned Colletti, Pat Haden, Kevin Love, Jeanie Buss, George Raveling, Fred Claire, Casey Wasserman, Bill Plaschke, Lee Jenkins, Shelley Smith, Sam Cunningham, Jamaal Wilkes and World War II hero/U.S. Olympian Louie Zamperini (“Unbroken”). His “Weekly Wooden” segments are a tribute to the life lessons of his late friend, the Hall of Fame basketball coach and teacher, who was a three-time class guest. Fellenzer has been a guest lecturer and moderator for sports business and communications events and panels at USC, UCLA, Caltech, the UC Berkeley School of Law, Pepperdine, UC Irvine, UC Santa Barbara, University of San Francisco, Long Beach State and Southwestern Law School. He was a featured speaker in July 2015 at the inaugural Front Office Combine, held in conjunction with the NBA Summer League, on the subject of “Networking, Resume Writing and Interviewing,” and speaker/moderator at the inaugural NCAA Sports and Entertainment Summit in Los Angeles. Fellenzer serves as faculty advisor for the school newspaper at Chadwick School in Palos Verdes, where he also teaches a journalism skills class to high school freshmen and sophomores, and as faculty advisor of the USC Sports Business Assn. Fellenzer has been a Heisman Trophy voter since 2007, one of only 43 in California and 925 nationally who have been invited to participate in the selection process for the most prestigious individual award in sports. Fellenzer is a frequent media commentator on sports business issues, having made live, in-studio appearances on the KTLA-TV Channel 5 News in Los Angeles. He was a featured interviewee in ESPN’s recent “Trojan War” documentary, part of the network’s acclaimed “30 for 30” series. Fellenzer also has been interviewed for ESPN’s “Outside the Lines,” National Public Radio and KNX News Radio, and has been quoted in publications including Sports Illustrated, the New York Times, Los Angeles Times, Los Angeles Daily News, Associated Press, Forbes.com and MSNBC.com. Fellenzer developed and hosted his own hour-long sports TV interview show, “One on One,” for Charter Communications in Long Beach. In-studio guests included John Wooden, Tommy Lasorda, Pete Carroll, Scott Boras, Fred Claire, Dan Guerrero, Stan Morrison and Jim Lampley. Fellenzer was the founder and president of the Pete Newell Challenge, a college basketball doubleheader held annually in the Bay Area from 1997 to 2006 that honored the late Hall of Fame coach and teacher. The event still holds the record for the largest crowd ever to see a college basketball game in California. On Dec. 21, 2000, a sellout crowd of 19,804 at The Arena in Oakland watched No. 3-ranked Stanford defeat No. 1-ranked and eventual national champion Duke, 84-83. In February 2012, Fellenzer recruited, hosted and moderated an elite panel of Olympic broadcasters at the inaugural USC Olympics Conference: “Stories from the Booth: Broadcasters and the Games,” with Al Michaels, Jim Nantz and Jim Lampley. Holder of undergraduate and graduate degrees from USC Annenberg, Fellenzer has served as an editor for several sports-related books, including: “Never Make the Same Mistake Once,” a tribute to the late USC baseball coach, Rod Dedeaux, by Robert Leach; “Fred Claire: My 30 Years in Dodger Blue,” an autobiography, and “Money Players” and “Go Pro Like a Pro,” both by Marc Isenberg. Fellenzer is the immediate past president and current member of the Board of Directors of the Long Beach Education Foundation, and director/founder of the Spirit of Sue, a fund that offers financial assistance for arts-related programs in the Long Beach Unified School District, honoring his late mother, longtime Long Beach educator Sue Fellenzer. He is a frequent speaker and interviewer at the annual Most Inspiring Students Awards in Long Beach, and in November 2011 spoke on behalf of his friend Louie Zamperini at the annual U.S. Vets “Honoring Those Who Serve” luncheon. Fellenzer worked as an editor/writer at the Los Angeles Times for almost eight years, writing a column on recruiting and serving as sports coordinator for the original L.A. Times Web site that became latimes.com…before leaving to launch the Pete Newell Challenge and start his own company, Innovative Sports Management. An avid runner, patron of the arts and longtime supporter of the Center Theatre Group’s Ahmanson Theatre and Mark Taper Forum who officiated his second wedding ceremony in November 2015, Fellenzer is a member of the Screen Actors Guild, having appeared in two sports-related films: “Blue Chips” (1993), with Nick Nolte and Shaquille O’Neal, and “Cobb” (1994), with Tommy Lee Jones.